I had a friend tell me a while back that this was her favorite of my arrangements. I was looking through my blog and realized to my shock and horror (picture my mouth agape) that I’d never blogged this one. I had fun writing this one. The chords go all over, the rhythm is fun to play, and I hope the sound worked. What do you think? 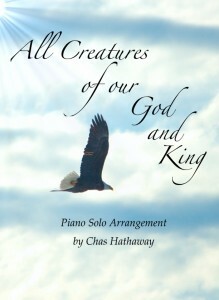 Sheet music available at my website.